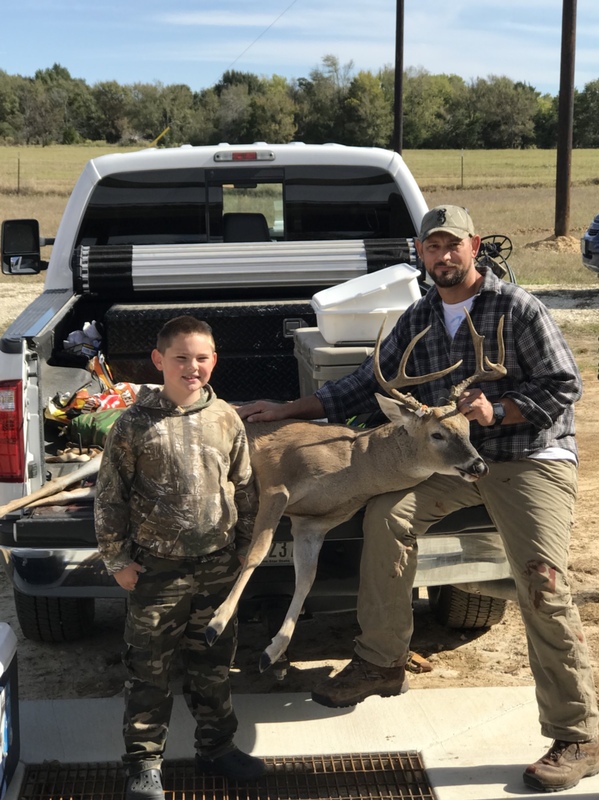 I was hoping to get a good thread going for all of those of us Freestone County deer hunters, a place where we can post updates about the weather, trail cam photos, deer activity, when the rut is hitting, and just about anything that could be beneficial to us Freestone County hunters. I will post here as often as I can make it up to the ranch, to start here's my best buck on camera last year! Good Luck everybody! Whereabouts are you in the county? Haven’t had time to refill the feeders nor get the cameras going yet, probably Labor Day wknd. 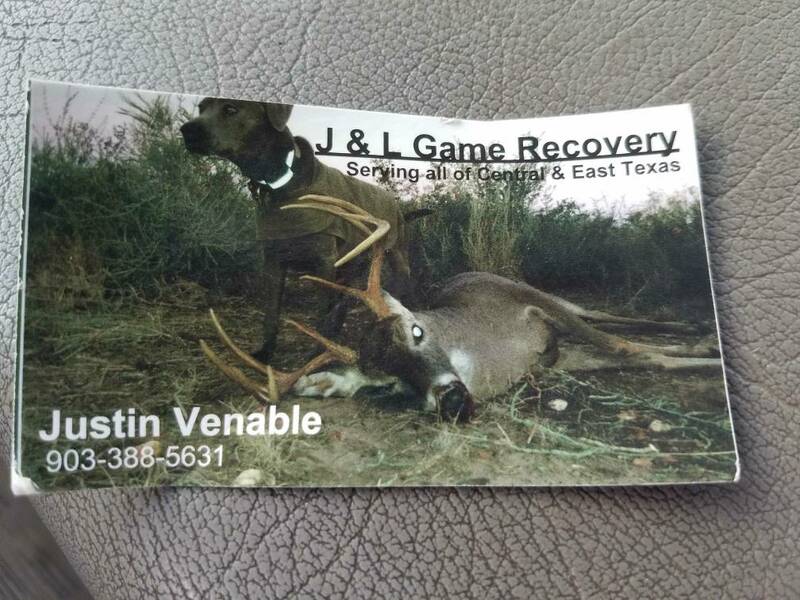 Just in case you freestone county guys ever need a dog. Im on the west side of the county. Thanks! I will definitely save the information and pass it along as needed. I just got the all clear from my wife to head to the ranch this weekend! hopefully gonna be able to get alot done. Here's my buck from last year. Still waiting on the taxi to call! That's a stud! When you go to your place to you go by oakwood? Where abouts in freestone do you hunt at? Ground pictures of my buck from last year. Where abouts in freestone do you hunt? Glad we got a FreeCo thread going. Will be cool to see what everyone else in the county is seeing/killing. Most deer on my cams are coming in during the night, guess due to the heat. Hadnt seen anything big on camera yet. Sure hope we get some rain soon, it is terrible dry right now. I know exactly where you are, we are just a few miles north of oakwood on the trinity river. I hunt in Fairfield and was wondering how the weather has been? I have been on the same lease for almost 20 years. First card pull last week and only one young 8 point and a few does and fawns. Usually have a bacholer group of bucks this time of year...maybe next card pull will reveal some. Well recap of the weekend, it was hot and dry. I wound up spending most of my time working on the camp house, hopefully next weekend is better. I will be headed up again this weekend. Well we got a little bit of rain this weekend. We really need all the rain we can get right now! I was out in Eldorado at the in-laws ranch all weekend (got about 2.5" out there) but when I got home yesterday afternoon the wife said it had rained off and on since Thursday. I poured 1.75" out of the gauge at the house this morning and that was all we got since last Thursday. Will take it, but need some more. No real camera pics to speak of, however I did see 2 really nice bucks while driving the place. Hopefully before long I will have cam pics to post up. How everybody else's preseason going? Heading back again this weekend, hopefully we can find some good bucks on camera! You might be right near us. Near Oakwood? How about northern Leon county? Last edited by Cajun shooter; 08-17-2018 at 03:53 PM. Well I woulnt make it back out this weekend, and next weekend is my anniversary so that's out of the picture. looks like it will be about 3 weekends out before I can make it back, anybody else had any luck? Hopefully when I get back in the next 3 weeks there will be some pics on my cameras that are worth posting. There will likely be but then they have a way of disappearing again around sept 30th! Well did any body make it out last weekend? If so what was the weather like and did yall get any good pics? Hot, dry and dusty at heck. Does anybody know if you the trees are full of acorns this year? I hope not. I am headed up there this weekend. I plan on getting cams going this wknd at my spot in Dew and at my spot west of teague. Thanks for starting this thread...look forward to seeing how everyone does. Good Luck fellas! I asked my wife if I could go check my cameras this weekend and was reminded that this was our anniversary weekend . Looks like next weekend before I pull the cards. Had a lot of good times on a lease near Dew. Plenty of nice bucks too. Good luck. I’ve been out literally searching for trees with acorns and am finding very few. The ones that do have acorns don’t have very many. I’ve started off searching along creeks and low areas then will move up to higher ground but I’m not finding much. I’m assuming it’s the drought. I hope the acorn count is low. I will find out this weekend. Well I got 2100lbs of corn into feeders this wknd, got some cameras going and saw a buck I’ve been chasing for about 6 years now back in one of our pastures, he was bedded down about 100yds from my krivoman. Work up to a steady rain this morning which we need bad. Lots of acorns in one pasture, not so much on the other properties. Be back up in two weeks to check the cams. Well guys I got the cards pulled and had to turn and burn, I forgot to bring them back with me! We had one real good buck on camera. Hopefully I remember to grab the cards and post the pics of him.